Eviyan is a new acoustic trio ensemble co-founded by famous Czech singer and violinist Iva Bittová, who currently lives in the USA, guitarist and composer Gyan Riley, whose father is the minimalistic composer and performer Terry Riley, and bass-clarinetist, composer and producer Evan Ziporyn, who also co-founded Bang On a Can ensemble and collaborated with Phil Glass, Brian Eno, Paul Simon and many more notable artists. Their first studio album called 'Nayive' is made of their own acoustic compositions and improvisations. The album is notable for the very high compositional as well as performing skills of all three musicians – the pieces are very sophisticated yet very fresh, rooted in the folk as well as minimalistic and classical traditions. 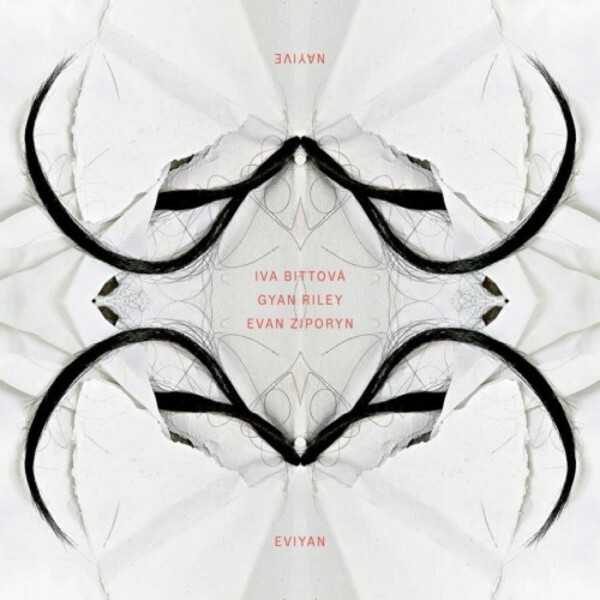 The natural sounds of classical guitar, bass clarinet and Iva Bittová's original voice melt together naturally to paint a very colourful image.